To be successful in orthodontics, it’s important to have good patient communication and management skills. Setting expectations right starts at the first consultation. From our decades of experience, we know the four most common questions that your patients will ask you at this stage, so get comfortable with them! Talk to your staff, figure out your policies, and role play with a friend, colleague, or even yourself in the mirror. You’ll be able to discuss orthodontics with patients and start getting records soon if you follow our tips! In the past, braces used much stronger forces, but luckily braces are now much more comfortable. We use smarter wires developed with NASA technology that provide low forces to move your teeth. Some patients feel a little soreness in the first 24-48 hours after putting their braces on, or when we adjust at later appointments. If you’re worried about this soreness, you may take a dose of aspirin right before we put on your braces. If you feel any rubbing from your braces, we will give you wax to put on them to feel better. Please let me know if you experience any discomfort and I will do my best to make sure you’re comfortable. Based on our visual inspection today, it looks like your braces may cost between $_____ and $_____. I’d like to take extensive records to check to see if there’s anything that I’m not currently seeing before I discuss the details of the best treatment plan and exact fees. If you decide that you want to get more information for your treatment plan, we will take records, which costs $____. [This amount is applied to your treatment fee if you choose to proceed with braces. OR We do not charge any fees to take records OR whatever your policy is]. The records are yours, regardless on if you decide to get braces or not. Please speak to ________, our treatment coordinator (receptionist, or office manager). He/she can tell you about the cost of braces, your payment options, and look to see if your insurance may cover part of the treatment. Tip: Brainstorm what price ranges and payment plans you are comfortable with for different case types before you start your patient consultations. You should also know your records policy and fees as well. *Unless you’re experienced and know that it will take you 6 months and that their expectations are the same as what you think is realistic (not fixing the bite or remodeling any bone). It’s better to over quote than under quote the time. I’m extremely unexperienced, so it will take me longer, around 3 years. Based on our visual inspection today, it looks like your treatment will take between 18 to 24 months (or whatever amount you estimate based on your treatment plan and schedule). We are using smarter brackets so treatment time is reduced. The more you cooperate [with putting in your elastics/wearing your headgear/keeping up with hygiene/making your appointments etc. ], the faster and more effective your treatment will be. During your appointments we will evaluate how your tooth movement is going and how your bite is responding to braces. Tip: To be more accurate, know what extra time and scheduling you should allot for other case types like mixed dentition, skeletal anchorage, or orthodontic-restorative cases. 4. Will you need to extract teeth? You look protrusive like a monkey; definitely yes. You are lucky. Definitely none of your teeth will have to be removed. If you think probably yes: Based on the amount of crowding I see from our visual inspection today, we may have to make more space for you to have the bite and smile that you want. However, I’d like to take extensive records to see what the best treatment plan will be for you with more exact details to present to you. Would you like me to take your records today? If you think probably no: Based on our visual inspection today, it looks like we may not need to extract any teeth to have the optimum bite and smile that you want. But I’d like to take extensive records to check to see if there’s anything that I’m not currently seeing before I suggest the best treatment plan will be for you. Would you like me to take your records today? With a little practice, you will be able to answer all your patients' questions with confidence. 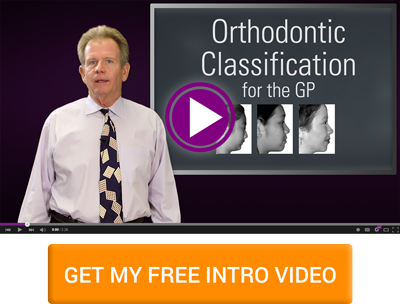 If you'd like to get more tips for great first ortho consultations, visit our course one day for free this spring. Find a course near you and RSVP for a free day! Have questions as you’re practicing or trying out your consultation skills? Leave them in the comments below!